The Macomb County Clerk – Register of Deeds today proposed providing a free bus ticket to jurors summoned for county jury duty under a program that would cost taxpayers nothing. If approved by the county Board of Commissioners, every person summoned for Macomb County circuit court jury duty would get a free bus ticket if they want it. Jurors would also get a “Transportation Hotline” telephone number they could call to help them find out where to get on the correct bus. Some Macomb County residents would even get door-to-door service under the proposal.  Under the Macomb County Clerk’s proposal, the county would partner with the Suburban Mobile Authority for Regional Transportation (“SMART”) to provide transportation service to jurors. The program would be funded by requiring jurors who participate to donate the mileage reimbursement of 10 cents per mile that the juror would receive. The program would also be funded by voluntary contributions from other jurors who would be asked to donate their first day’s juror compensation to help fellow Macomb County jurors get a bus ride to the courthouse. To jumpstart the program, SMART agreed to donate the first 500 tickets. "I did not have transportation at the time I served on jury duty and had this program been available, I would have definitely used it," said Kenneth Blackwell who served on Macomb County jury duty in October. "It saves you having to call in for an excuse or be late. The Macomb County Clerk made us feel comfortable and this program is worth trying." The jury system is a foundation of our legal system and helping make jury service easier is a benefit to everyone. Jurors won’t have to worry about parking or driving in bad weather. For every person using the system it frees up a parking space in Mount Clemens. Businesses would benefit if people without transportation are introduced to the public transit system because more people could go to businesses to use services and/or make purchases. This could lead to fewer juror excusals or fewer requests for rescheduling. This proposal is environmentally friendly because if more people use public transit there will be fewer cars on the road. This is a limited pilot program to allow actual data to be gathered so that the Board of Commissioners may conduct a complete review of the merits towards the end of the year. Citizens in every commissioner’s district would benefit because jurors are randomly chosen from a countywide pool of people. The program costs the county taxpayers nothing. If it doesn’t work, if no one takes advantage of the service or if no jurors voluntarily contribute their first day’s jury duty pay to fund it, then the program will end and no cost to or commitment from the county. The Macomb County Clerk’s proposal will be considered on March 10, 2004 by the Legislative and Administrative Services Committee of the Macomb County Board of Commissioners. Is the only Michigan clerk to offer evening hours, making it possible for people with full-time jobs to get personal service. Was the first county clerk in Michigan to use computerized scanning and indexing for a register of deeds office. Was the first county clerk in Michigan to launch a toll-free 24-hour fax-on-demand system for forms and information. It even works on nights and weekends when the office is closed. Was the first county clerk in Michigan to provide overnight delivery service for birth certificate requests and other vital records. You can now get your records in a hurry. Was the first county clerk in Michigan to provide assumed name business registrations and death records on the Internet. Enabled the public to initiate an automatic phone call from the clerk’s web site. Enlisted local amateur radio operators as emergency backup to relay election results on election night. Was the first county clerk in Michigan to make paying easier by accepting credit cards.